Are you wondering what to do in Helsinki today? Come and discover Iittala & Arabia Design Center's tours, workshops and exhibitions. You can also enjoy a cup of coffee or stop by for a snack. 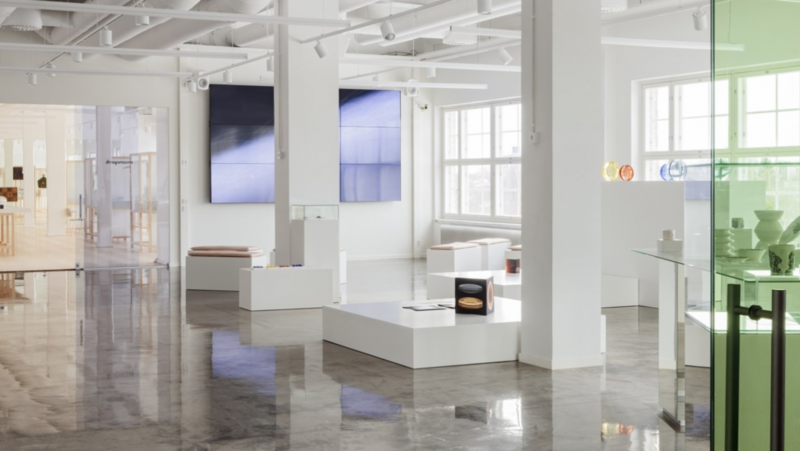 The newest addition to Helsinki’s dynamic art and design scene – where you can take a deep dive into two of Finland’s best-known design and lifestyle brands, Iittala and Arabia. More than a window into the history, present and future of these legendary brands, the centre invites guests to interact with working artists and explore their own creativity through exhibitions, workshops, guided tours, design talks and events. Iittala and Arabia are brands registered by Fiskars Group. Take tram number 6 or 8 to Arabia and get off at the Arabiankatu stop. Take bus number 68 or 71 to Arabia and get off at the Arabia stop. Parking is available on Hämeentie near the centre’s main entrance. Entry for wheelchairs, prams and buggies is via the main entrance on Hämeentie. The accessible toilet is located in the Design Lab on the 9th floor. The centre offers daily guided tours and special inspirational tours. The guided tour is an excellent way to get the most out of your visit to the centre. The first stop is the fully renovated Design Museum Arabia, where you can explore the museum’s outstanding collection of Finnish ceramics and glassware. Next you will see the ongoing exhibition at the Design Lab Gallery and you are able to visit one studio of the Arabia Art Department Society. The story of Fiskars Group is visible through the installations at Fiskars Pavilion. Thank you for your booking! We will confirm your guided tour via email soonest.